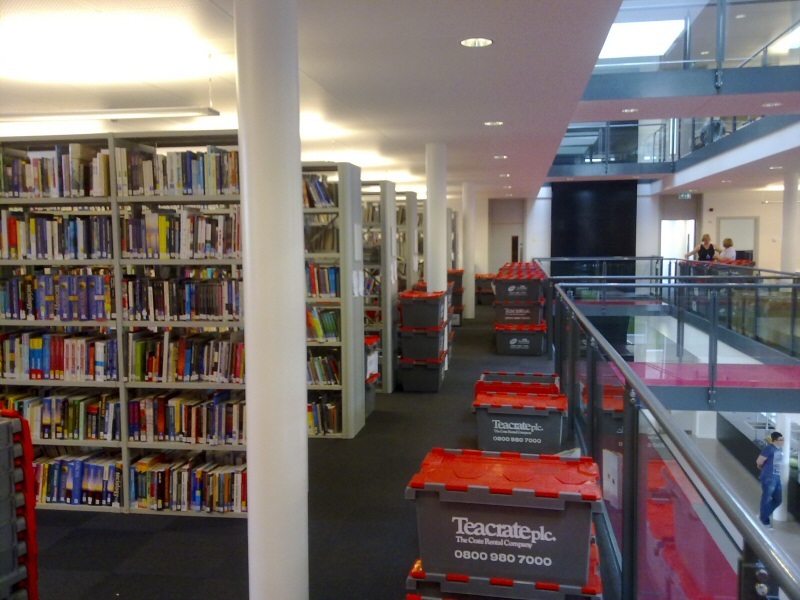 Please take a look at our photo gallery below for examples of our House Moves, Business Moves, Piano Removals and Secure Storage services. To read what some of our satified customers think of us, why not visit our Testimonials page. Large or small job? We have all sized vehicles available from a courier van to the full size removal vehicle. A removal to the continent? 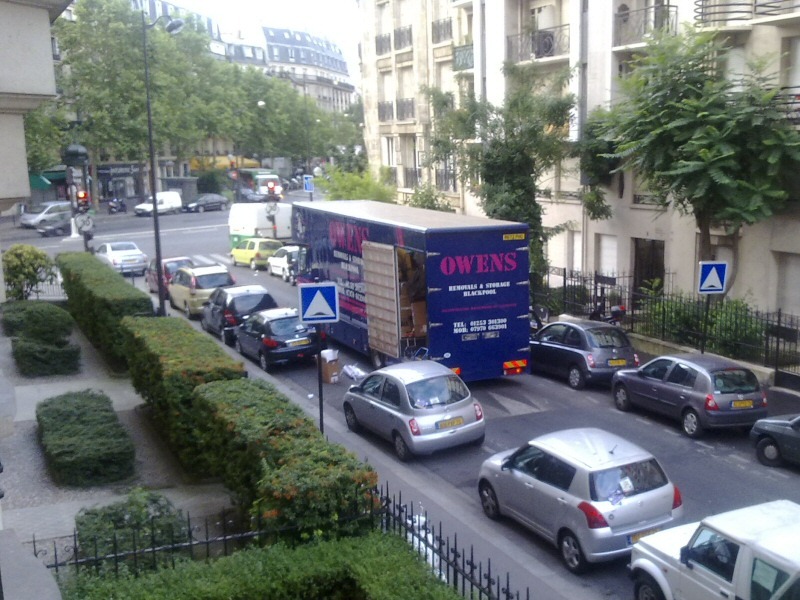 The Owens van parked outside an apartment in Paris, France. Think you have a challenging job? 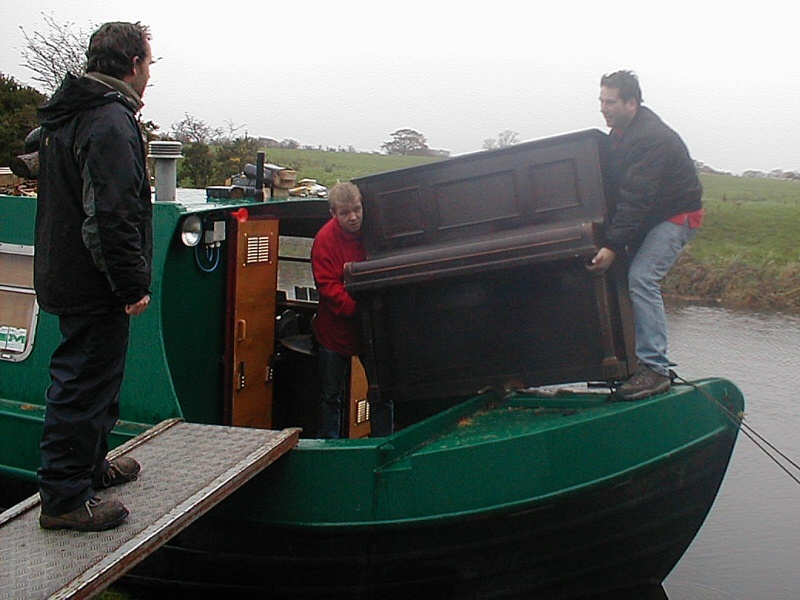 Moving an upright piano onto a canal barge on the Lancaster Canal. Everything is possible! 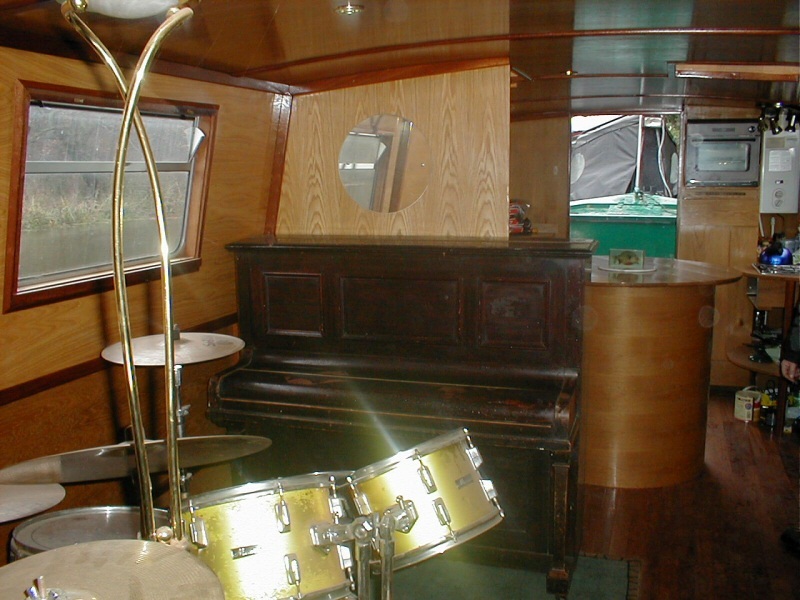 The moved piano in place on the barge moored at Salwick Quay, near Preston. A bit of good old British weather? No problem! A snowy removal in Sheffield, South Yorkshire. Got a lot to move? 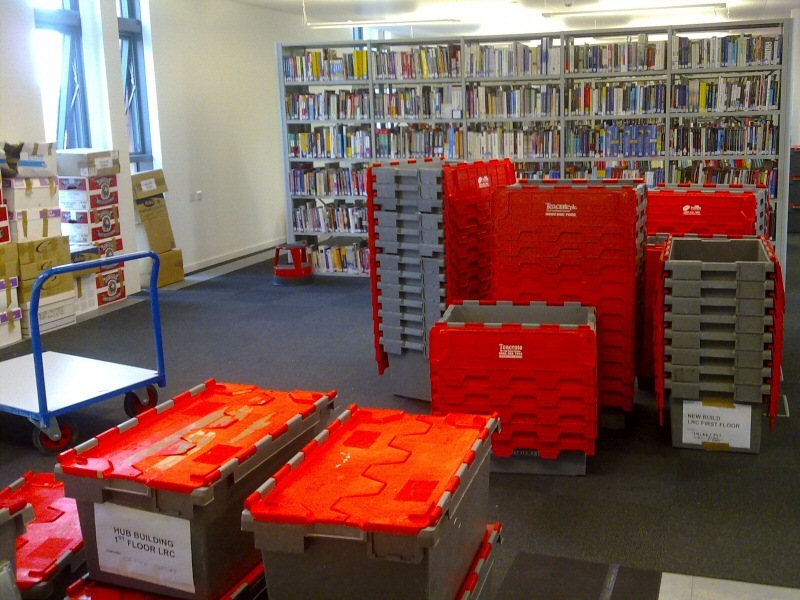 Books boxed and catalogued for a library move for Blackpool and the Fylde College. Need storage crates? We can supply all the packing materials you need and pack it all for you. Got an unusual job? 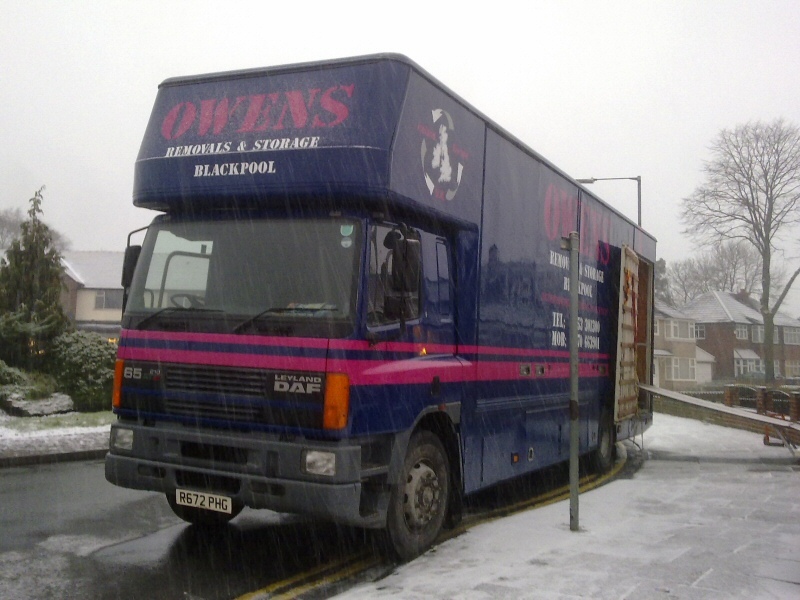 Mark Duerden Smith in an Owens van filming the TV show "Gutted" in Blackpool. Our depot is based in Blackpool on the Fylde Coast in Lancashire and from there, we are well placed to serve local homes and businesses in Blackpool, Preston, Lancaster and surrounding areas, including: Fleetwood, Lytham, Kirkham, Garstang, Chorley, Leyland, Blackburn, Burnley, Morecambe, Poulton-le-Fylde and Thornton. Moving to, from or within the North West? We operate nationwide, with satisfied customers throughout the UK, including: Liverpool, Manchester, Chester, Bolton, Wigan, Warrington, Leeds, Sheffield, Carlisle, Newcastle, Aberdeen, Glasgow, Edinburgh, Birmingham, Coventry, Nottingham, Bristol, Swansea, Cardiff, Bath, Luton, London, Milton Keynes, Oxford, Reading and more! 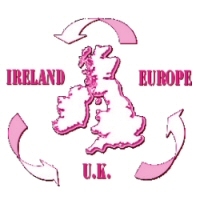 In addition, our vans can regularly be seen crossing the Irish Sea to and from Ireland. Relocating to or from the continent? 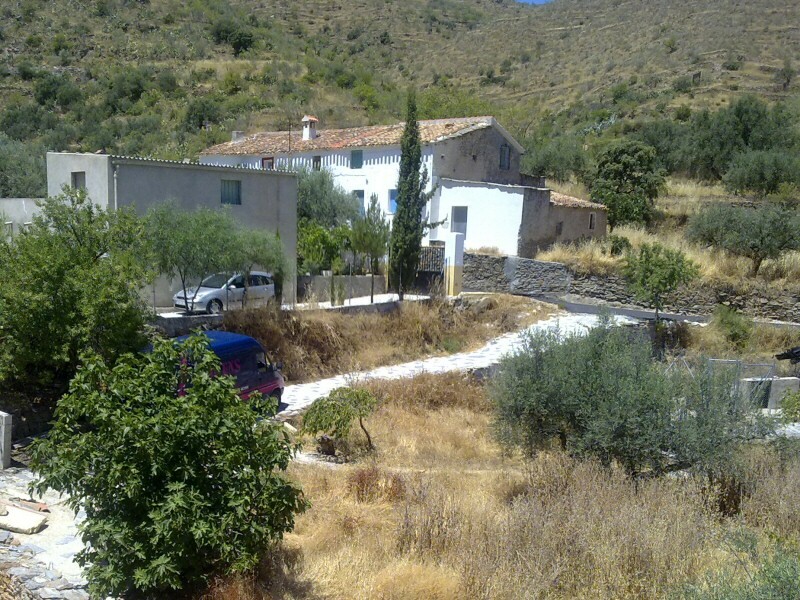 We also travel to all mainland European destinations, including: Spain, France, Portugal, Italy, Germany, The Netherlands, Belgium, Denmark, Luxembourg and Switzerland. 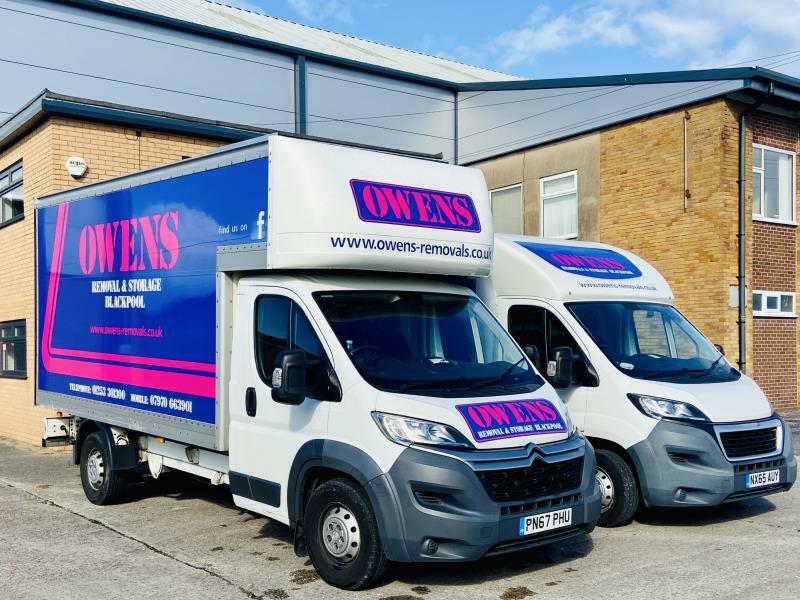 Whether it be around the corner, nationwide or abroad, Owen's Removals will move it for you.